The Alien/Sci-fi Actor box is awesome if you have actors in the games! The box is super light weight and can be worn by the staff/actors underneath costumes. The box emits a pulse from the head sensor, so if a Alien gets close to a gamer they can “shoot” them (even without a gaming gun). Just like in the movies, gamers need to hit the Aliens in the head to deactivate them. 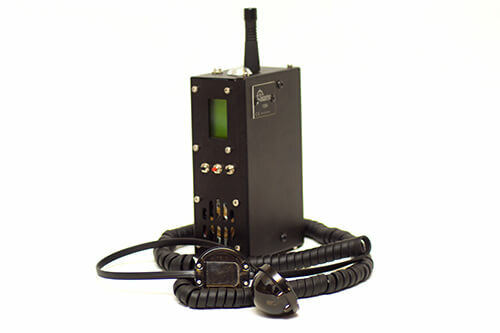 The Alien actor box is a small black metal box with SATR electronics including LCD, main board, 3 buttons plus a special Actor head sensor with infrared emitter. The idea, however, is that actors can discretely place the pack within their costume.